Setting up a turntable correctly can make the difference between it sounding wonderful or actually quite unimpressive. The process of accurately reproducing the soundwave engraved into a record is a purely mechanical challenge and you need to set up your machine correctly in order to achieve the best possible sound quality. Sure, if you just bung a cartridge on it and plug it in music will come out of your speakers; that’s one of the beauties of it too. But if you take your time with the following steps and make sure you are being as precise as possible at each stage of the process you will definitely reap the rewards. 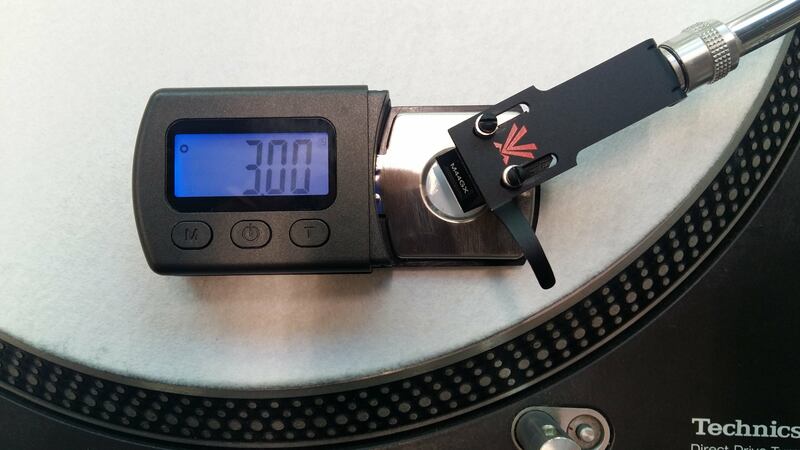 Ensuring the platter is perfectly level is the essential first step in setting up a turntable. 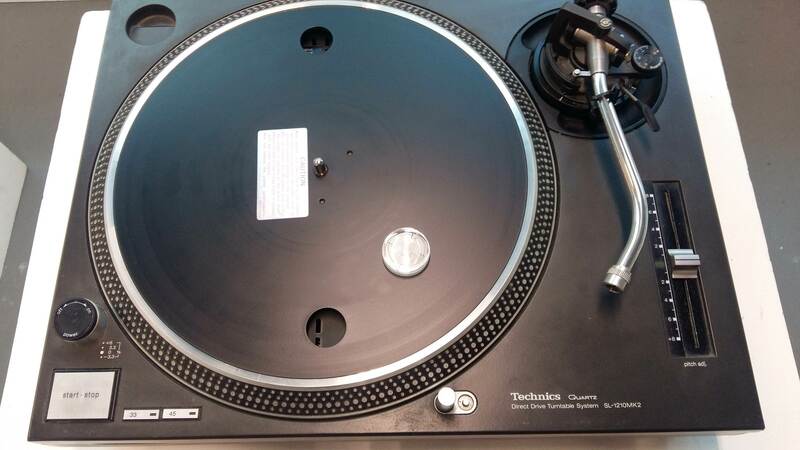 An uneven platter can cause speed stability problems, undesirable skating and antiskating forces and the tonearm bearings will also find it very difficult to do their job. All of these things have a detrimental effect on sound quality. You will need a spirit level of some kind in order to achieve this. Specialised turntable ‘bullseye’spirit levels are more useful and accurate than a builder’s type. Ebay has a large selection for very little cost. 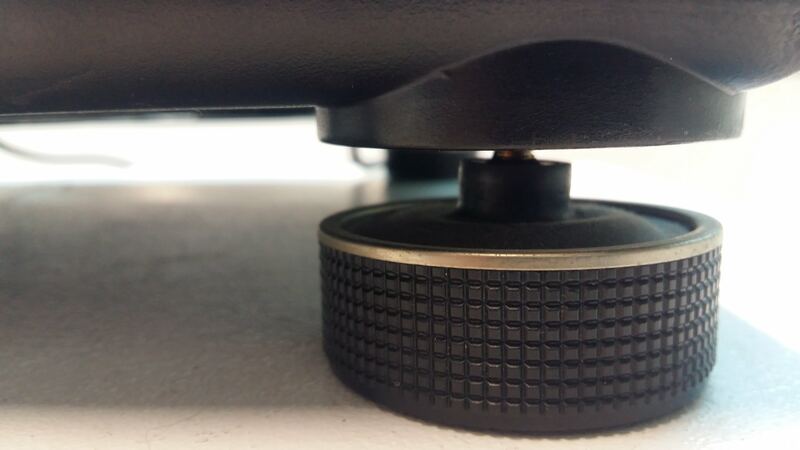 Pretty much all turntables have adjustable feet that allow you to screw them in and out in order to raise or lower that particular corner of the turntable body or plinth. Firstly remove the rubber mat or slipmat from the platter. Place the spirit level on the platter, fairly centrally along the path that the stylus follows across the record. Screw the adjustable feet of the turntable in and out accordingly to raise and lower the corners of the plinth until the bubble is precisely in the centre of the bullseye marking on the spirit level. This can be a very fiddly and frustrating job and you need to keep your cool. If you find yourself getting annoyed at any point then just stop and take a break or you may end up damaging something. Tools required are a set of suitable cartridge mounting nut and bolts (always supplied by the manufacturer with a new cartridge), a precision screwdriver or allen key depending on the head of the bolts and some painter’s masking tape. If you are fitting the cartridge to a tonearm with a removable headshell then first remove the headshell and sit yourself down somewhere comfortable. If your headshell is not removable then try to organise yourself so you can sit comfortably in front of the turntable wherever it is positioned. Don’t attempt this kneeling down in front of the hi-fi rack. You need to have a steady hand and it helps to be sitting and to be able to lean on something. If you move the turntable in order to do this step, then remember to go back and level the platter again when you put it back. In the case of moving magnet cartridges I prefer to first remove the stylus from the cartridge so it doesn’t get accidentally damaged in this process but if you’re not comfortable doing that then don’t. If the cartridge is new and comes with a plastic stylus protector you can use this instead. If the stylus protector doesn’t feel very secure then fix it in place using a little masking tape around the sides of the cartridge only, not on the top or the back where the gold pins are. Normally both the headshell and cardtridge will have a colour coded ring around the pin or some other marking such as ‘R+’ ‘L-‘ etc. 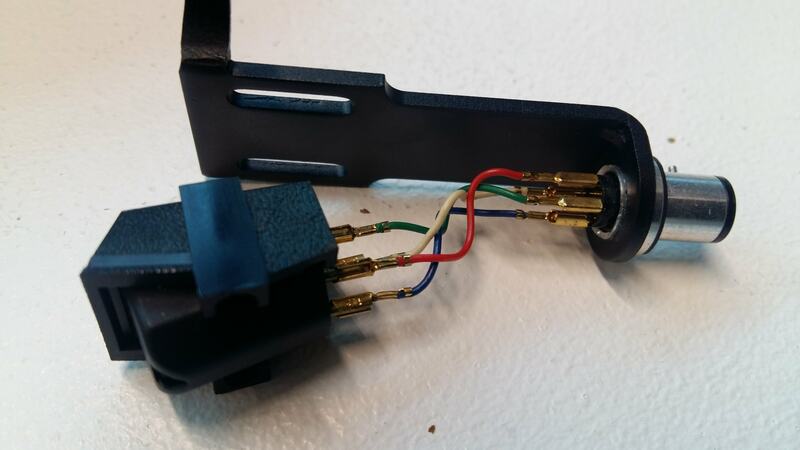 If not then refer to the manufacturer’s instructions for your turntable or cartridge to ensure you are connecting the correct pins to one another. 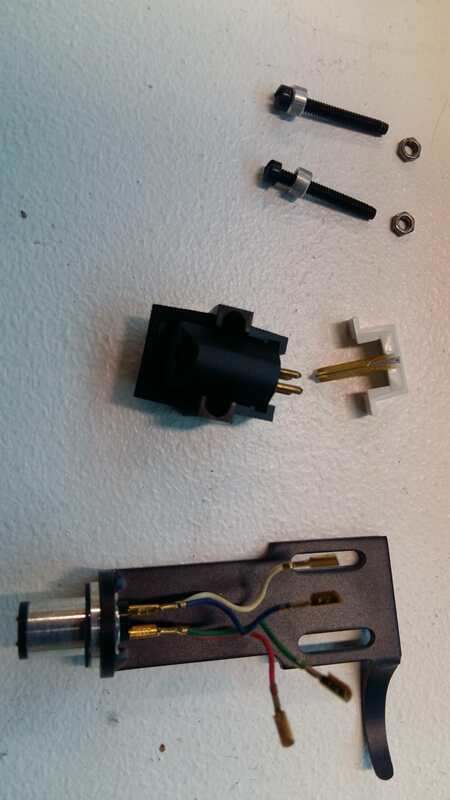 Next thread the bolts through the holes in your tonearm headshell and the cartridge body. Some cartridges are easier to fit with the bolts coming up through the body of the cartridge and the nuts on top of the headshell and some are designed to only be fitted the other way, with the bolt heads visible from the top and the nuts below the cartridge. If the cartridge is new it will be made clear in the fitting instructions. Either way round, getting the nuts onto the ends of the bolts and starting off the thread can be very frustrating, take your time and have a break if you start getting impatient. I have tried tweezers, mini spanners, needlenose pliers and various other tools to try and make this less of a PITA but I can’t really recommend one over another. You need a degree of manual dexterity whichever tool you use. Fit the cartridge and tighten the bolts enough to hold the cartridge in position but loose enough to allow you to slide it backwards and forwards in the headshell slots. If you are fitting the cartridge into a detachable headshell then fit it back into the tonearm now. A stylus pressure gauge or precision scales are very useful tools for this job but not essential. 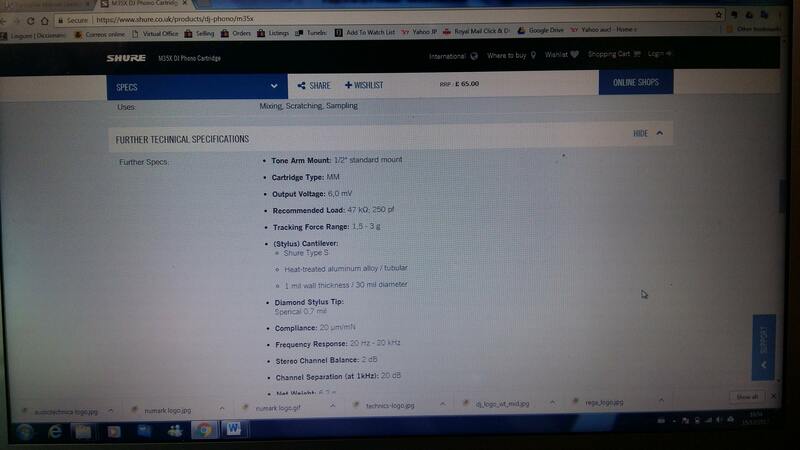 All manufacturers publish recommended tracking weight for their cartridges. They are often specified as from ‘X’ grams to ‘Y’ grams. If this is the case you can ignore the lower recommended weight, use the higher one. I have a stylus pressure gauge or precision scale. With the tonearm in its rest, take some masking tape and tape down the platter to the plinth to prevent the platter from rotating. This is partly to hold it still while you use the protractor and partly to prevent stylus damage due to a clumsy accident in the next step. 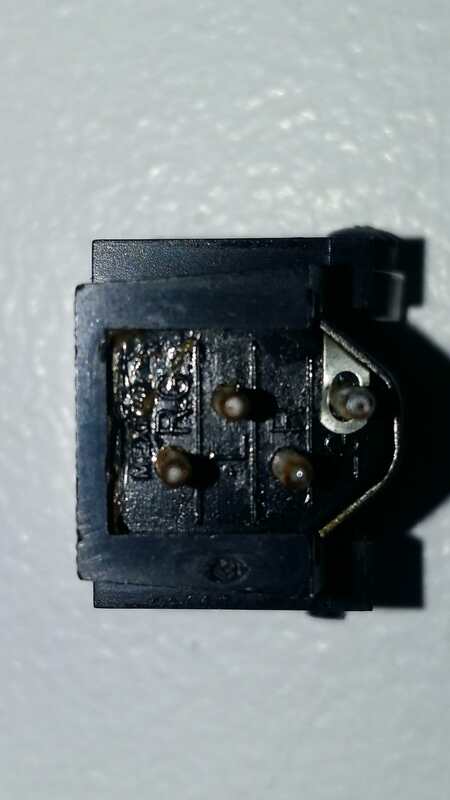 If you removed the stylus when fitting the cartridge then carefully put it back on now. If using the stylus guard then remove it to expose the stylus. 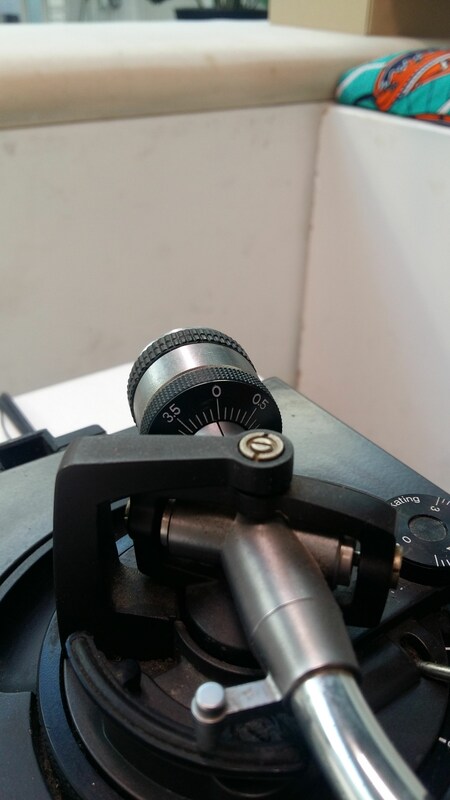 Place the stylus pressure gauge / scales somewhere centrally in the arc that the stylus follows across the record. Using the cue lever raise the tonearm, move it across and slowly lower the stylus onto the centre point of the gauge / scale. Rotate or slide your tonearm counterweight backwards to add less weight and forwards to add more. Always use the arm lift to raise and lower the stylus. I do not have a stylus pressure gauge or precision scales. You can still set the VTF fairly accurately without any tools using the markings on the counterweight which indicate grams of tracking force but first you must set the zero point. 1. With the tonearm in its rest, take some masking tape and tape down the platter to the plinth to prevent the platter from rotating. This is partly to hold it still while you use the protractor and partly to prevent stylus damage due to a clumsy accident in the next step. 2. If you removed the stylus when fitting the cartridge then carefully put it back on now. If using the stylus guard then remove it to expose the stylus. 4. 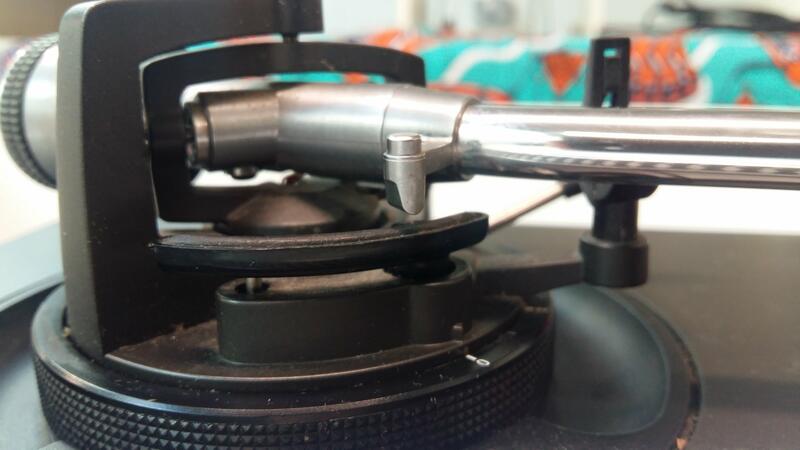 Hold the tonearm firmly using the finger lift and use your other hand to rotate the counterweight, or in some cases slide it, backwards or forwards until you find the zero balance point of the arm. This means that the arm is balanced in mid-air flat parallel to the body of the turntable without being supported by anything. The cartridge should not be pointing up in the air and it shouldn’t drop down when you let go of it either. Be very careful not to let it drop and hit the plinth. Don’t totally let go of it until you are sure it is balanced. 5. Now that you have set the counterweight to the zero point, put the tonearm back in its rest with the safety clip engaged. Next, rotate the plastic ring on the counterweight until ‘0’is at 12 o’clock. Do not move the counterweight itself, just the plastic ring. It moves independently of the weight. 6. Now this time rotate the counterweight itself anticlockwise (so that the weight moves forward on the stub) and observe the numbers which represent grams of tracking weight. 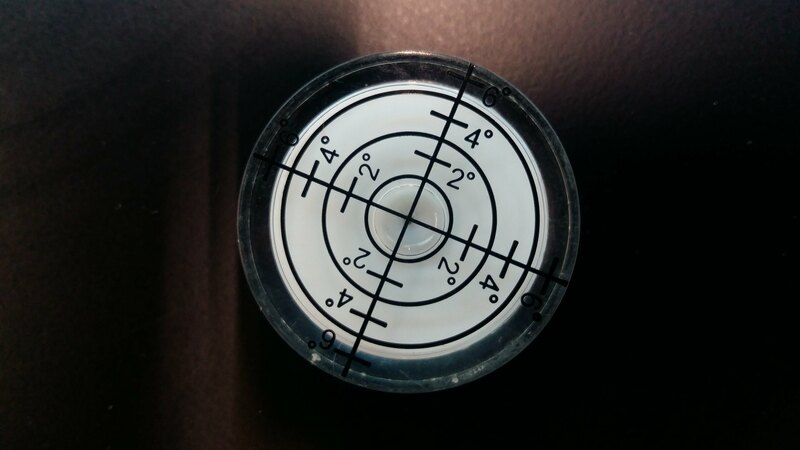 If your cartridge requires 3.0g of tracking weight then rotate the weight until you hit 3.0 on the dial. Tools required – A cartridge protractor, a torch of some kind, a magnifying glass would be handy, a usb microscope even better. Correct cartridge and stylus alignment makes a big sound quality difference in addition to allowing you to backcue the record without the stylus jumping out of the groove. The critical geometry between the arm pivot point, the cartridge body and the stylus ensures that the diamond tip is seated perfectly in the groove. 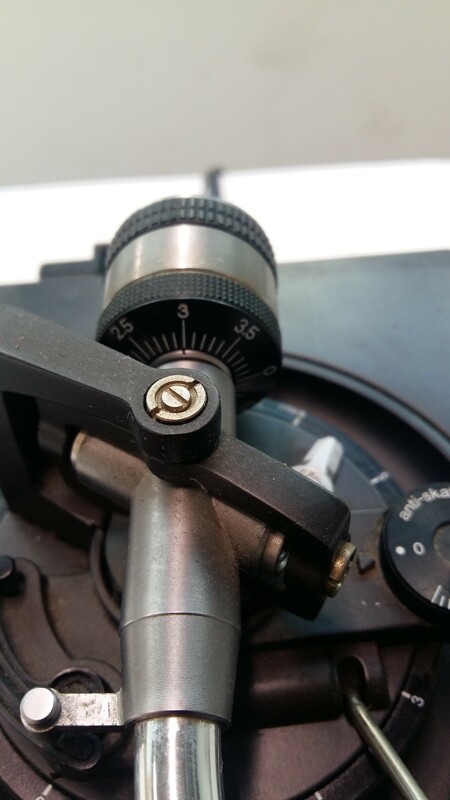 There are many phono cartridge protractor tools available on the market or you can obtain excellent results using the free ones available on www.vinylengine.com. Just make sure to print them actual size 100% no scaling and follow the instructions carefully. 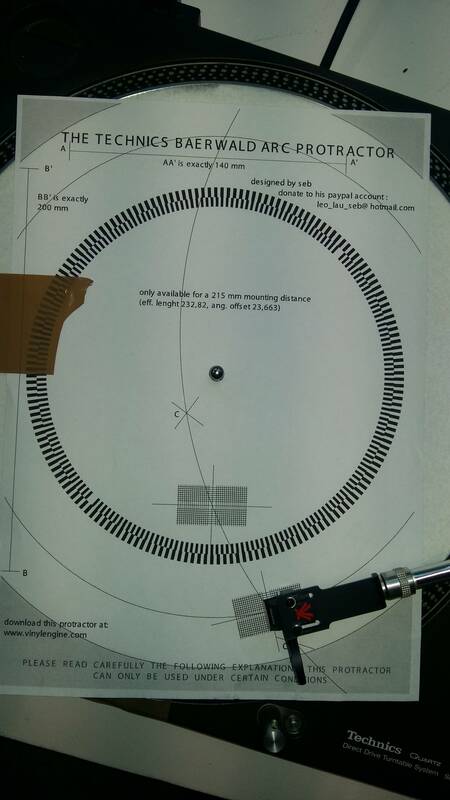 They are all of a similar design, which is a grid of lines printed onto something that sits on your turntable platter at a specific distance from your tonearm pivot point and the platter centre spindle with one or two alignment points. You have to move the cartridge forwards, backwards and rotate the angle of it in the headshell until you get it lined up on all sides and absolutely spot on the crosshair alignment ‘null’points. Follow the instructions for your chosen protractor and align the stylus point, cartridge body and cantilever as accurately as possible. Shine a torch under the cartridge to illuminate the alignment lines, use a magnifying glass or similar if you have one. Be as precise as possible when doing this - 1mm of inaccuracy makes a big sound quality difference here. 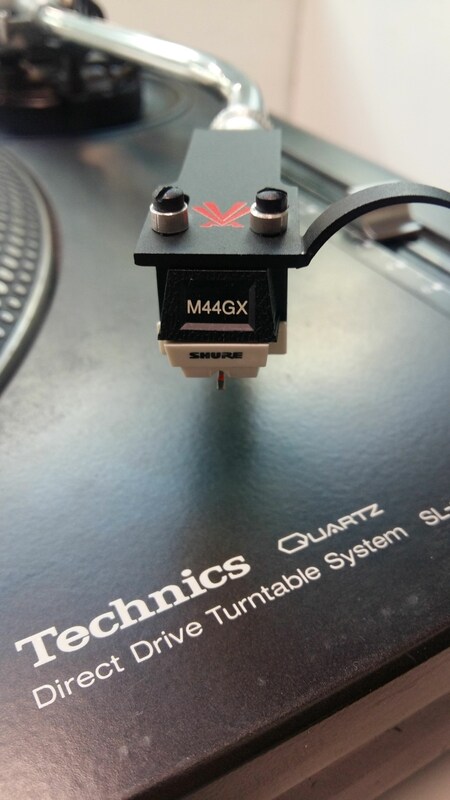 In order that the diamond tip of the stylus sits in the groove at the correct angle, both the tonearm tube and the bottom of the cartridge should be parallel with the surface of the record on the platter. 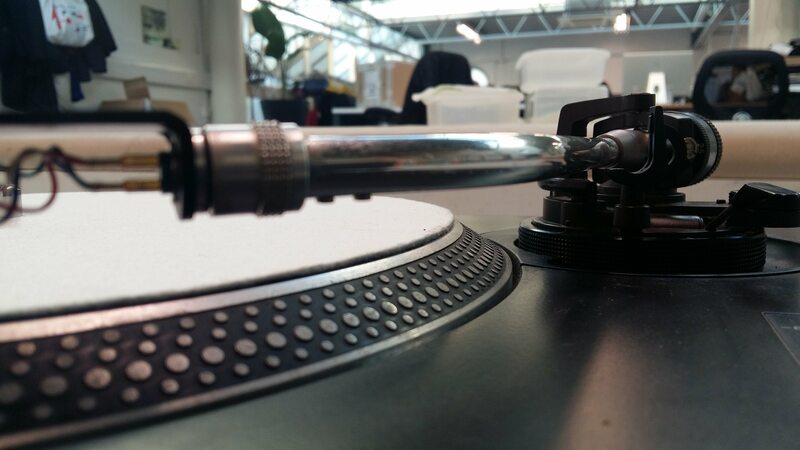 Most turntables have the facility to raise or lower the arm mechanism at the pivot point which in turn changes the angle of the arm and cartridge relative to the surface of the record. In the case of Rega arms fitted to non-Rega turntables, which have no VTA adjustment, this is achieved by adding spacers or washers around the arm pillar base to raise or lower the arm. There are numerous expensive and exotic tools available to assist with setting VTA. A quick and dirty method is to print a series of straight lines on white A4 paper and hold it flat on the record while looking at it from the side to allow you to see if the arm tube and cartridge body is parallel with the record surface. 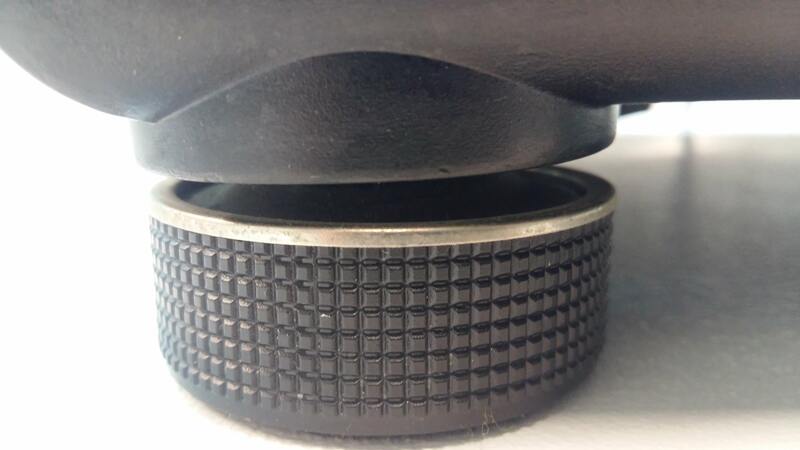 Correct anti-skate adjustment is very important for good stereo width and soundstage depth. The stylus tip running in the record groove which is spiralling inwards creates an effect like the opposite of centrifugal force which can prevent the stylus from following the groove correctly or applying uneven pressure to the groove walls causing one channel to be slightly louder than the other. The anti-skate setting compensates for this. 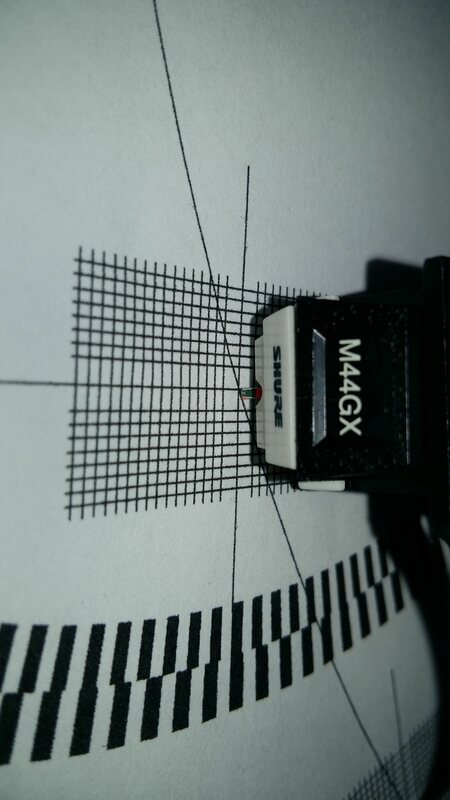 A general rule of thumb is that the anti-skating force in grams should be approximately equal to the Vertical Tracking Force on the cartridge, perhaps a little less. 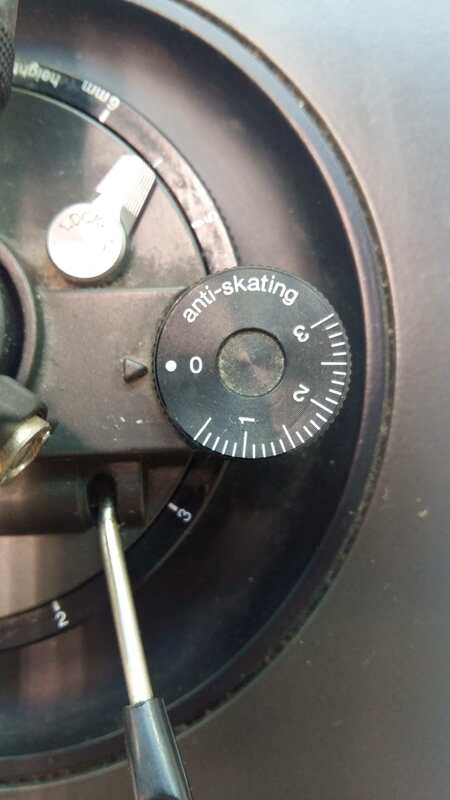 The anti-skating dial will generally have numbers on it which represent force in grams. Another more sophisticated method of setting anti-skate is to use a turntable test record such as Hi-Fi news analogue test LP which has unmodulated grooves specifically to set up anti skate. 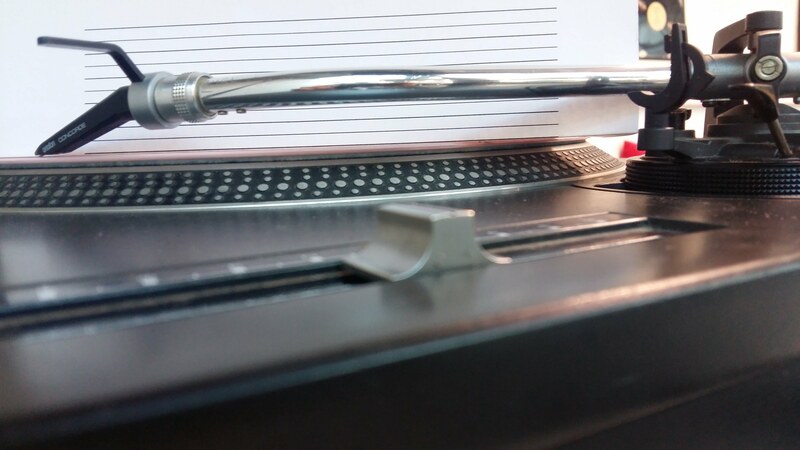 A record with one side completely flat and smooth can also be used effectively by lowering the stylus onto the spinning record and adjusting anti-skate until the stylus remains static when it makes contacts with the record i.e. it neither moves toward the centre or the outside of the record.